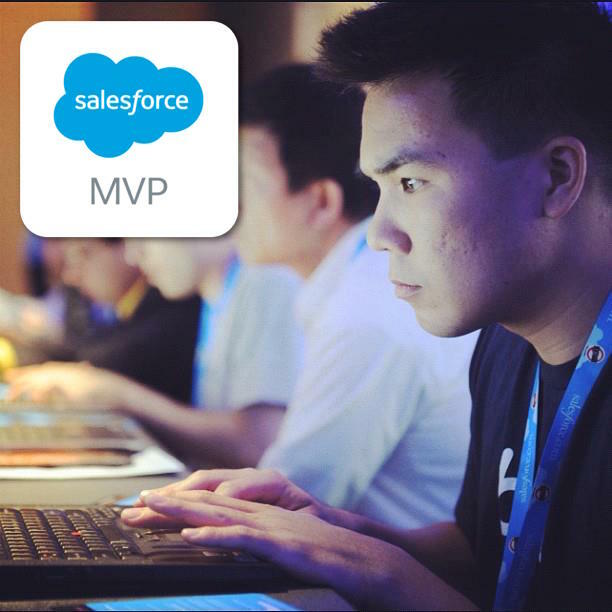 From Salesperson to Salesforce Developer at 50 years old! David’s note: 50 years old, learning to code, switching to a completely different profession, then rejected for your dream position… and yet you still found success because you chose not to give up! You must have been a hell of a salesperson! Legendary!! I’ve got a Physics degree and I’ve always been interested in software development since my first university year (does anyone remember Pascal programming language? ), but unfortunately several circumstances in my life directed my professional steps to Sales (B2C at first, and B2B later). In 2014, the company I was working became the first Salesforce partner in Greece. I had already created a sales tool (a primitive CRM) in Access forms, so I was keen to see what a “real” first-class CRM looked like – and I loved it! I started working on Salesforce Developer editions in my free time or during my (very long indeed) transportations to/from work. I was studying very hard and stubbornly at weekends, at night, during holidays. So, I continued passing certifications (Sales Cloud Consultant and Advanced Administrator in April/May 2016), I completed all Superbadges in the summer, and started studying for my next big goal, the Platform Developer I certification. Then, at the end of August (don’t forget that we are still in 2016) something happened. I received a LinkedIn message, asking if I was interested in a Developer position for a big company, somewhere in Ireland. I’d never thought about working abroad, but suddenly this idea was so obvious to me. So, I started sending my CV for Salesforce Developer vacancies in UK and Ireland (had to be European countries, speaking English). I talked to many recruiters and I realized that the luck of working experience as a Developer was one of my big obstacles, but I decided to go on searching. At the middle of October 2016, I was talking to a recruiter who proposed a Developer position and imagine my surprise when I found that it was the same position I mentioned before (that one I had received the LinkedIn message in August). The two interviews went very well and finally I got the position of my dreams. So, me and my wife relocated to Ireland last January and I started working in the development center of one of the biggest multinational medical devices, pharmaceutical and consumer packaged goods manufacturing company. I know all these details may look a little boring but the reason I write all these is not about me, it’s about all those whose Salesforce is a passion and especially for those who want to have a professional life with Salesforce. My message to all those people (to all those passionate people who want a Salesforce career) is very simple: believe your passion! Study hard, get many certifications, get superbadges, learn using Trailhead, attend every event you can, join your local Developer and User Group, help others, even try to create an App (there is always an unexplored area) and NEVER believe the others when they say that you can’t. You can do anything if you are passionate enough! It’s not easy, it needs to invest many hours of your life, but eventually it has to do with how much you believe your passion: if a 50-year-old salesperson can become a Salesforce Developer with 6 certifications and write a Data Factory framework, then obviously you can, too! Closing this email, I admit that during difficulties I was thinking of your journey as a Salesforce professional. Thank you, David, for being an inspiration to all of us. You really are an inspiration! I do have a background in the tech industry but zero knowledge of SF. I am currently at a crossroad in my life and was wondering if pursuing a career in a new field was advisable at my age (60) and stumbled across this site (thanks, David Liu) and your story. So, thank you for taking the initiative and blazing a new path at your age. Hope to use your and other inspirational stories on this site to blaze my own Odyssey! Nikos is truly an inspiration and I am cheering for you Kumar to find similar success too! You can do it!! An inspiring story on the benefits of discipline & dedication. Really motivational for newbies like us. Thanks for sharing this! woowww! very inspiring Nikos..i’am in the same situation right now trying to shift from sales to salesforce developement (and i’am 43). Thanks for sharing. Nikos your story are super. WOW, This is so inspiring . Congratulation Nikos !! This is a very inspiring story. I’m on a similar path myself, though I have a significant amount of software development experience. I worry about whether or not my lack of official hands-on professional experience will be an obstacle. This story gives me hope. Thanks for sharing! Dedication, passion and a will to succeed.